And have you seen those microwave cakes in a cup making the rounds on Pinterest? We tried the microwave brownies (after the kids were tucked in, naturally, or I would have baked an entire pan of brownies), and I keep eyeing this little microwave coffee cake. I’m curious about microwave potato chips, but I don’t crave potato chips often enough to justify the effort. My favorite microwave tip? 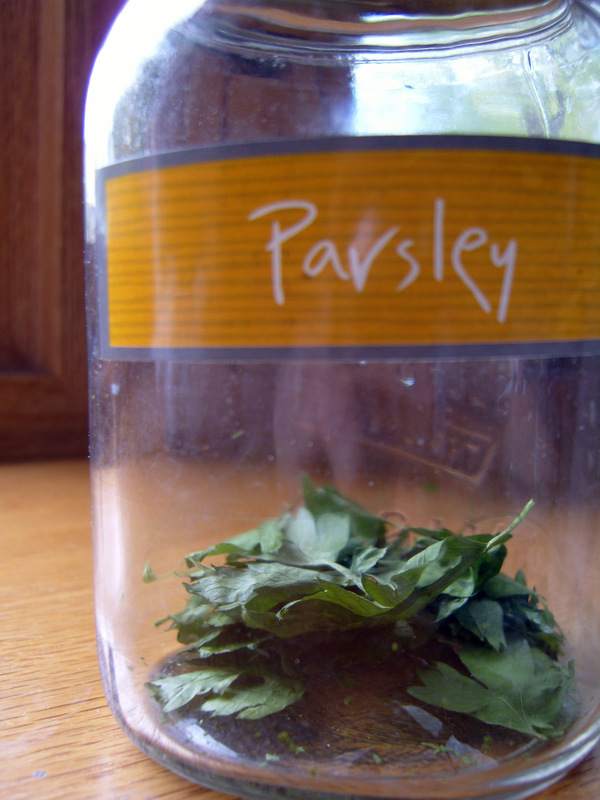 Use it to dry fresh herbs! I have not tried it myself, not having grown many fresh herbs lately, but when I saw these instructions, I passed them on to my best gardening friend. 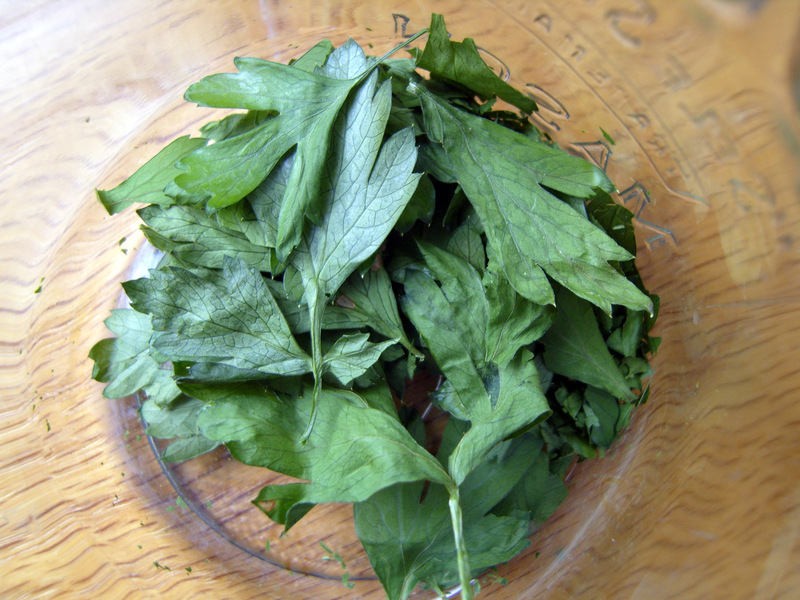 She tested it and shared the results with me in the form of a beautiful jar of bright green dried parsley. So if I successfully grow any herbs from all the starts she has given me this year, I’ll be preserving my harvest in the microwave! Reheating leftovers (quickly and right on the plate–saves time and dishes!). Melting chocolate or butter (the secret to one-bowl brownies). Cooking fresh or frozen vegetables (right in the serving bowl). How do you use your microwave? I did try one of those cakes in a cup…dangerously too easy!! Maybe it’s a good thing I’m rarely alone in the house, or I’d be making these all the time! What? Get rid of all the paper plates laying around the kitchen? Love this and I can’t wait to try our herbs! The brownies/cakes in a mug are big on campus this year according to my daughters. I have some basil that is just getting a good start from seed. I haven’t had any luck with herbs in the past. If this “crop” makes it, I will be trying your drying tip.